SPACIOUS VILLA IN DESIRABLE CASA DEL SOL IN A PEACEFUL SETTING. 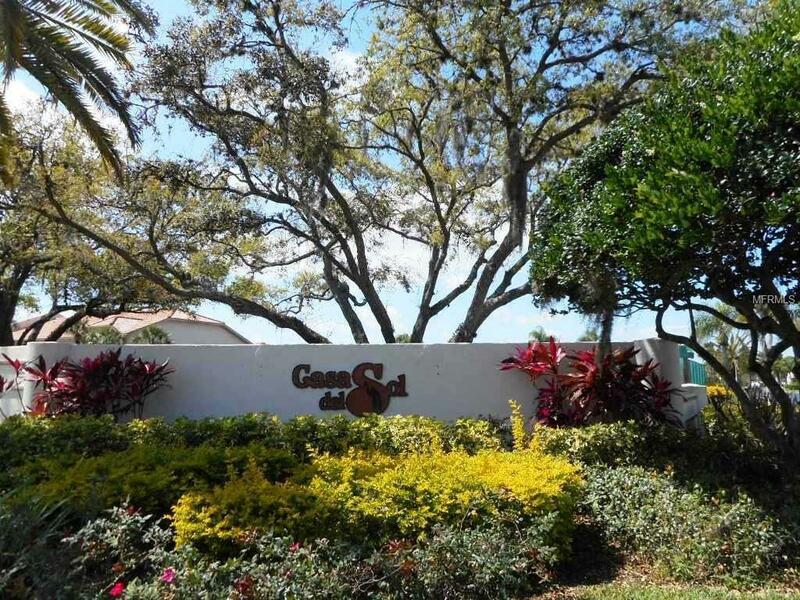 THIS 2 BED 2 BATH END UNIT WITH 2 CAR GARAGE HAS SERENE, PARK-LIKE VIEWS OF THE PRESERVE. 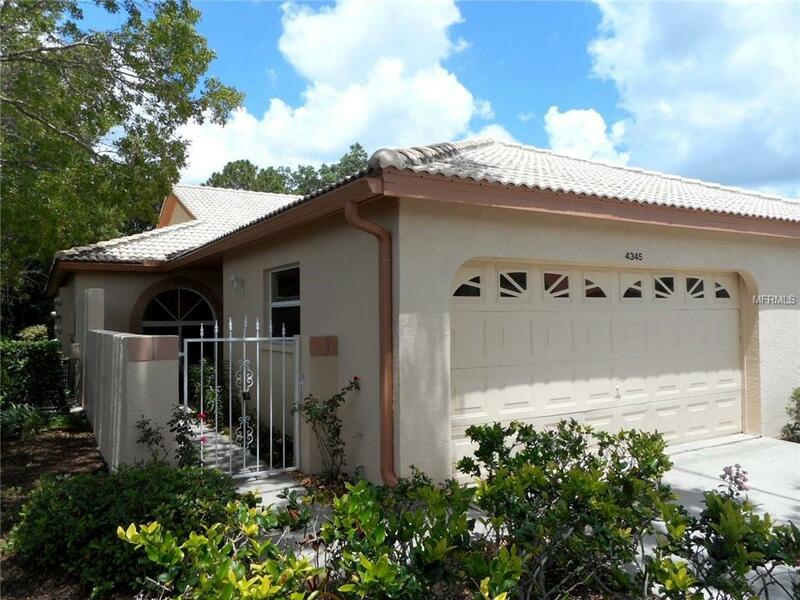 A CHARMING GATED COURTYARD WELCOMES YOU HOME AND INSIDE YOU'LL FIND VOLUME CEILINGS AND A LARGE LIVING ROOM/DINING ROOM AREA WITH SLIDERS TO THE SCREENED LANAI. A BRIGHT BREAKFAST NOOK IS LOCATED JUST OFF THE KITCHEN WITH SLIDING DOORS TO THE FRONT PATIO. THE KITCHEN HAS BRAND NEW APPLIANCES, PANTRY AND A PASS THROUGH FOR OPEN SIGHT LINES TO THE LIVING AREAS AND BEYOND. ROOMY MASTER BEDROOM WITH WALK IN CLOSET AND THOSE SAME LOVELY VIEWS. CONVENIENT INTERIOR LAUNDRY. SKYLIGHTS IN THE COVERED FRONT PORCH AND ENCLOSED LANAI BRING IN EVEN MORE NATURAL LIGHT. 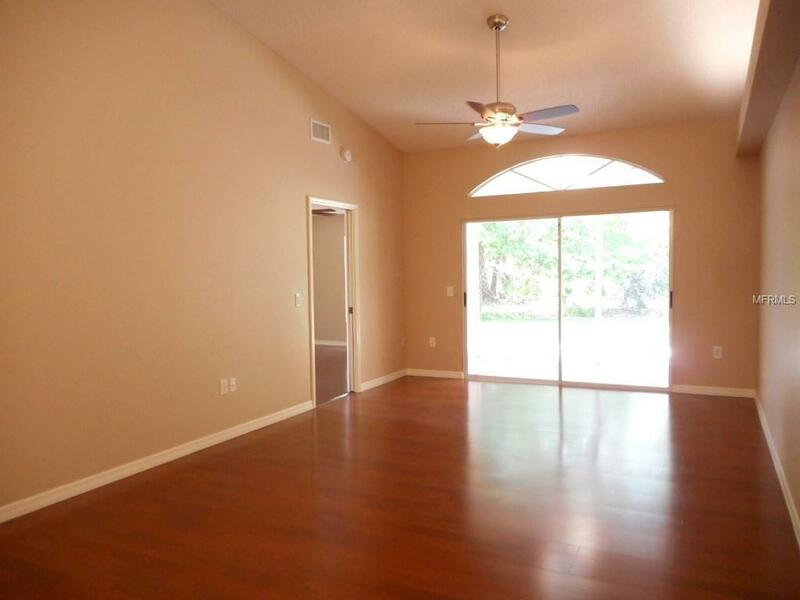 ENJOY THE REAR PATIO AND PEACEFUL SURROUNDINGS WITH MAJESTIC MOSS COVERED OAKS AND TALL PALM TREES. THE VILLA IS SUPER CLEAN, FRESHLY PAINTED INSIDE AND OUT WITH ALL NEW ATTRACTIVE CEILING FANS AND LIGHTS, NEW KITCHEN SINK AND DISPOSAL, NEW FAUCETS, SCREENS AND OTHER FIXTURES. 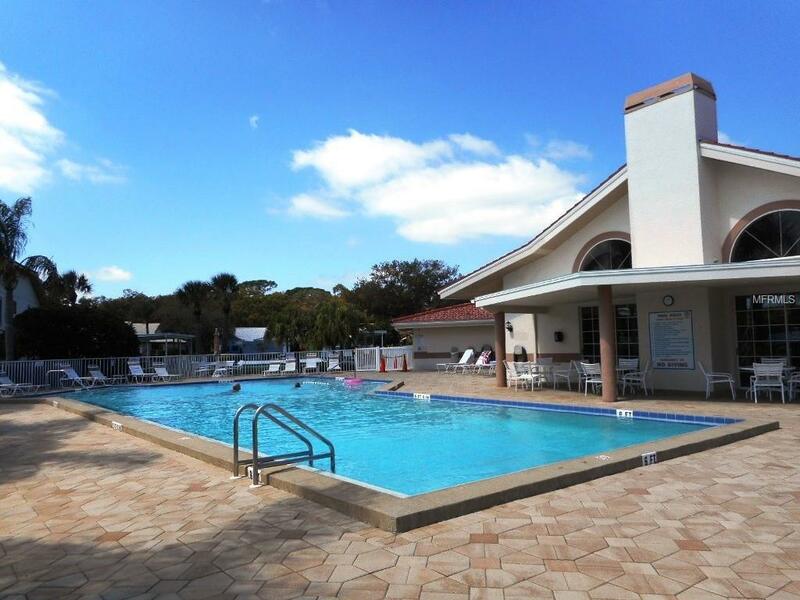 THIS WONDERFUL COMMUNITY HAS A BEAUTIFUL HEATED SWIMMING POOL, CLUBHOUSE, TENNIS AND MORE. A GREAT LOCATION CLOSE TO I-75, SHOPPING, DINING, MEDICAL FACILITIES AND IS LESS THAN 30 MIN TO GORGEOUS SIESTA BEACHES. SCHEDULE A SHOWING TO TAKE A LOOK INSIDE! Additional Lease Restrictions See Hoa Docs For Exceptions To 2 Yr Ownership Prior To Leasing Requirement. Pet Restrictions One Small Dog Or Cat Not To Exceed 30 Lbs. No Pet Allowed For Renters. Listing provided courtesy of Sunreal Estate Inc.